Set Of Animal Species Vector. Flat Style. Big Collection Of Mammals Of Different Geographical Latitudes And Continents. Wild And Domestic Herbivores, Predators, Birds Illustrations. Isolated On White. Royalty Free Kliparty, Vektory A Ilustrace. Image 63505717. Reklamní fotografie - Set of animal species vector. Flat style. Big collection of mammals of different geographical latitudes and continents. Wild and domestic herbivores, predators, birds illustrations. Isolated on white. 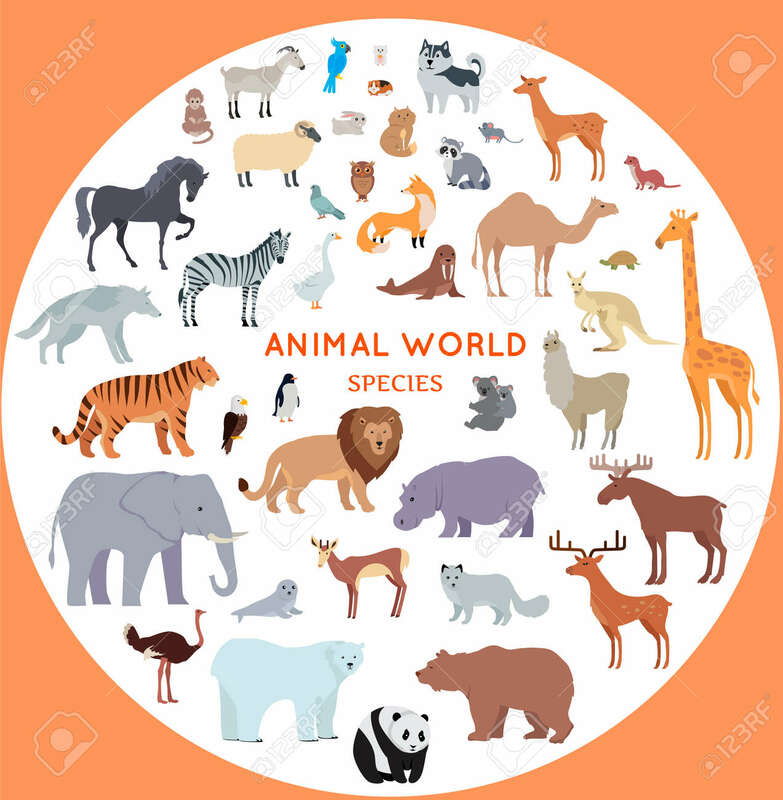 Set of animal species vector. Flat style. Big collection of mammals of different geographical latitudes and continents. Wild and domestic herbivores, predators, birds illustrations. Isolated on white.